Gas stoves and ovens need a way to ignite the natural gas supply to create the flame needed to cook. Electronic ignition, or pilotless electronic ignition, was created to replace older pilot light technology. 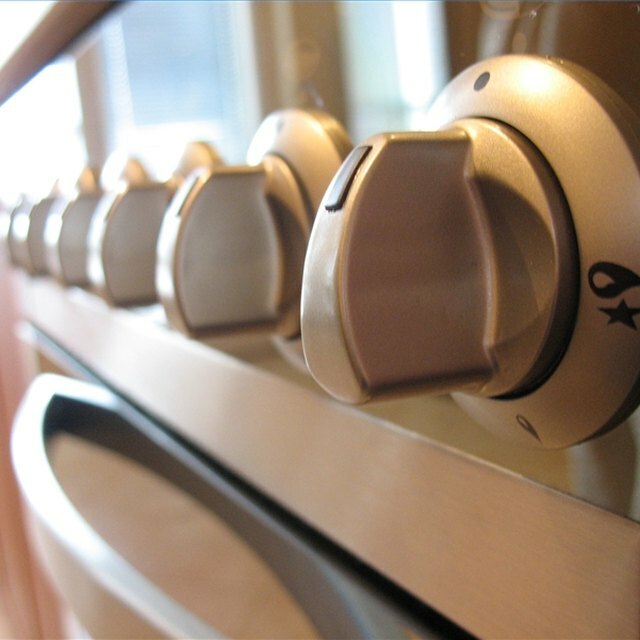 Ignition systems allow a stove and oven to light up for cooking. Older gas ovens and stoves utilized a small flame, or pilot light, to allow the range to create the heat needed to cook. Electronic ignition uses a clicking, or sparking, to initiate the cooking heat. There is no difference between the terms "electronic ignition" and "pilotless electronic ignition" Both describe the same function of employing electrical current to ignite a flame in a stove or oven without the need for a continuously burning pilot light. The use of pilotless electronic ignitions on gas stoves and ovens can save on natural gas bills by as much as 30 percent, reports the California Energy Commission. The lack of a pilot light saves energy, as well as avoiding the inconvenience of having to light the flame if it goes out.